We’re delighted to be working with Jolie Holland and Samantha Parton – founding members of The Be Good Tanyas! Fifteen years ago, Jolie Holland and Samantha Parton – two founders of the wildly popular group The Be Good Tanyas – first joined forces. Now they come together once again, with a worldwide touring schedule and new studio album coming in 2017. Their new project, as always, is a page from the big book of North Americana and outsider folk. Holland grew up in Texas, and by her teens was performing as a traveling musician. In the late 1990s, she called San Francisco home before making her way to Canada where she co-founded the Tanyas with Vancouver singer-songwriter Samantha Parton. Parton had spent her post-high school years travelling with her guitar, and drawing strong musical inspiration from visits to the southern US; she spent time living in New Orleans, Holland’s ancestral home. After contributing to the Tanyas’ acclaimed Blue Horse LP, Holland moved back to San Francisco while Parton continued to tour and record with the group until a serious car accident took her off the road in 2012. 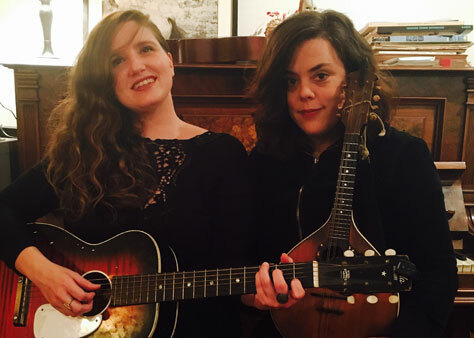 With this new creative incarnation, expect to hear newly written originals, fresh arrangements of The Be Good Tanyas material, and songs from their individual catalogues. Tour support comes from Reuben Hollebon. After several years engineering and producing other people’s records, musician Reuben Hollebon is finally releasing his debut album. Evoking Elliott Smith, The National, Tim Buckley and Grizzly Bear, Terminal Nostalgia is a burnished, bristling collection that showcases Hollebon’s striking, weightless falsetto, and the production nous he’s honed over a decade of working in studios. His lyrics tackle the afterlife, the power of nature, and the multiplicity of selves that lurk within us all.